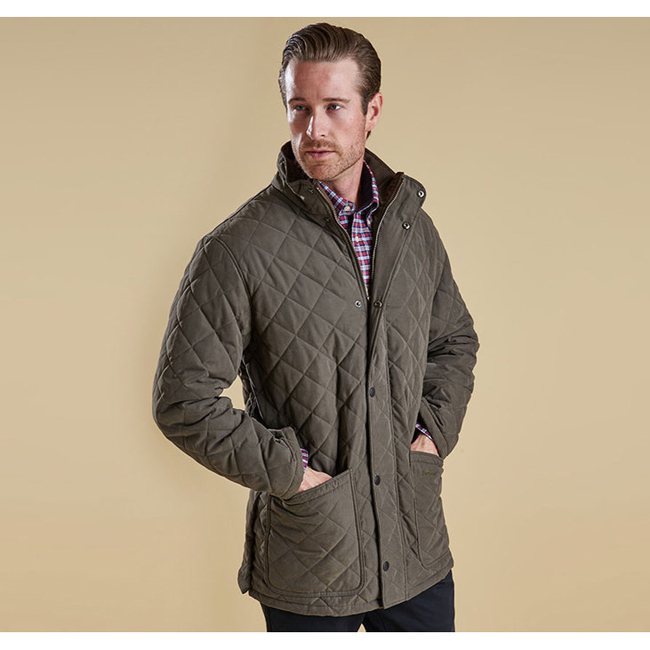 The simple yet stylish Hampton Quilt is a fashionable, longer length men’s quilted jacket with a luxuriously soft microfibre outer. From the Classic collection, this versatile jacket is constructed in Barbour’s iconic diamond quilt design with a lightweight, comfortable polyamide lining. The longer length offers fuller coverage with freedom of movement, thanks to the two studded size vents and sturdy two-way zip. Robust stud fastenings offer additional protection against the elements, together with a funnel collar that can be folded down for a smarter look, or pulled up for additional warmth. Two large patch pockets feature subtle Barbour embroidery and a handy inner mobile phone pocket complete with stud fastening for security. With a relaxed fit that’s ideal for winter layering, the Hampton Quilt is a practical jacket available in three classic colours. Very good I love it my go to work jacket as a mechanic a bit big for my small frame but worth every penny.